I usually don’t expect much when I get free stuff. I’m usually just thankful to get the product. This time, my expectations were exceeded when I tried out this hair straightener. I have tried many flat irons and with my hair being curly, thick and long it’s hard to find a flat iron that really does a great job. This flat iron is one of those rare ones that do a great job. I received the HSI Professional Hair glider. It has ceramic plates, swivel cord and an adjustable turn dial that heats up to 450 degrees and is suppose to distribute the heat evenly to prevent hot spots. It comes with also came with a heat glove to protect your precious hands ☺️as well as a sleeve to store the flat iron. I also received a thermal spray which smells like heaven and works great in recommend buying it. The HSI professionals hair glider worked amazingly! It left my hair nice and straight AND shiny! Best of all, it left my hair frizz free! I didn’t have any issues with the heat dial changing on me like it usually does. It heats up fast and the hair straightener has a nice texture on it so I was able to keep a good grip on it. 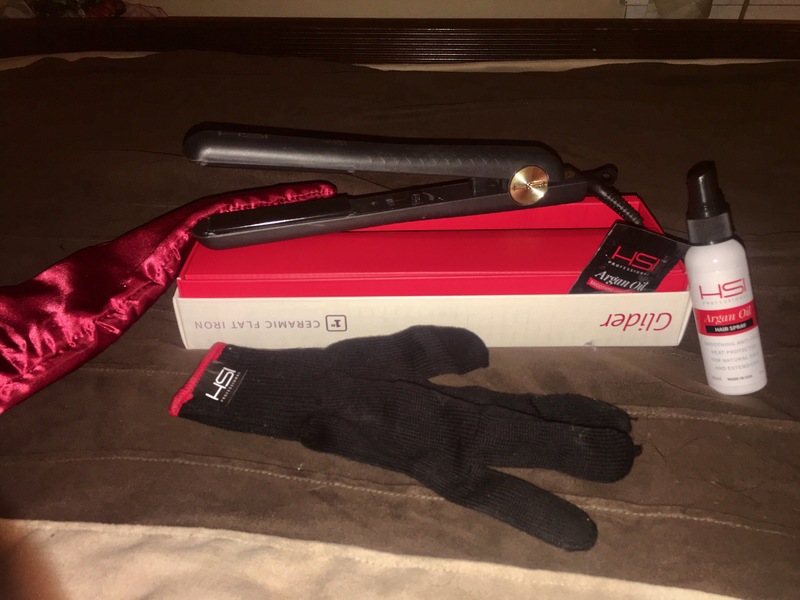 Anytime I use heat tools, I notice steam or smoke coming from hair, I didn’t notice any of that with this flat iron which leads me to believe it doesn’t cause as much heat damage to your hair as other flat irons. The HSI professional hair glider costs about $80, but it is so worth it!